What is Algae or Seaweed? Algae or seaweed is one of the simplest living plants that belong to the lowermost level of the ‘underwater food chain’. It is basically a family of chlorophyll-rich organisms containing above 20,000 different types of species, which are mostly used in the health industry to prepare variety of drugs. However, the antioxidants, proteins, amino acids, vitamins and minerals found in it are also considered to have great potential to benefit our skin. 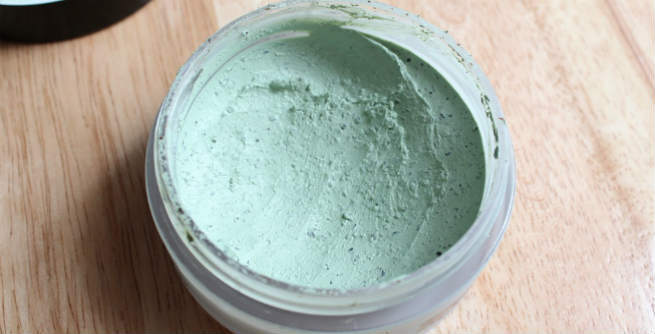 Why Is Algae Used in the Beauty Industry? Algae is rich in antioxidants, which help our body fight against the damages caused by free radicals. It is essential for driving off the signs like wrinkles, fine lines, age spots, etc. and keeping age at bay. It works as a water-binding agent that helps retain the natural moisture of our skin and keep it soft as well as supple so that we can look healthy and youthful. It can avert the generation of collagen-inhibiting enzyme and stimulate its production at the same time. As a result, the skin remains even-toned, young-looking and vibrant for long. It is rich in Alguronic Acid, which can accelerate the regeneration of skin cells by boosting the reproduction of elastin protein. It keeps the skin firm and elastic by reducing wrinkles and sagginess. There are certain species of algae like Irish moss, carrageenan, etc., which are loaded with proteins, carbohydrates, starch, vitamins (A, B1, etc. ), minerals (calcium, sodium, magnesium, iron, copper, phosphorus, etc. ), and so on, which keep the skin healthy from inside and give it a natural glow. Certain species of algae may also contain bacterial microphyte AFA or Aphanizomenon flos-aquae, which is a wonderful source of proteins and minerals. So, the reproduction of skin cells increases significantly. Red Algae (Rhodophyta): It acts as a natural sunscreen, which absorbs the harmful ultraviolet B (UVB) rays of the sun and prevents sun damages. Brown Algae (Phaeophyceae): It is a ‘super antioxidant’ that combats oxidative damages and fights off aging successfully. Green Micro-Algae (mainly ‘Chlorella’): It contains a highly powerful phytochemical named astaxanthin, which regulates the production of melanin by driving away the free radicals responsible for its reduction, thereby giving us an even skin tone. Apart from these, there are some other types of algae, such as ascophyllum, laminaria saccharine, alaria esculenta, ulva lactuca, chondrus crispus, etc. that are also used for manufacturing skincare products.